OTL for headphones 200 and more ohms. Loftin-white, only 1 cap ELNA CE between output stage and headphones. WOW!!!! That thing is a beast! Is it possible that we could take a look at what lies underneath that beuty? Some of my projects: TDA2050 Chip Amp, the LM3886 Gainclone Thread and the Szekeres Headamp Thread. // This is inner side of my 2 projects of 6S33S. Sorry,....now You can see all my new links from 25. 11. You sure have an allot of tube amps!!! I wish I could construct as good as you they all look amazing yet the internals are so neat and simple! Keep up the contructing, I want to see more!!! And let me guess.... your dughters graduation present was one of your amazing tube creations. My "moto" is : HiEnd is back proportional to the number of composite parts!! 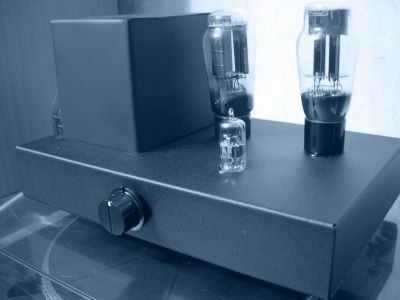 /And only two stages amplifiers whit good tubes and ideas/.